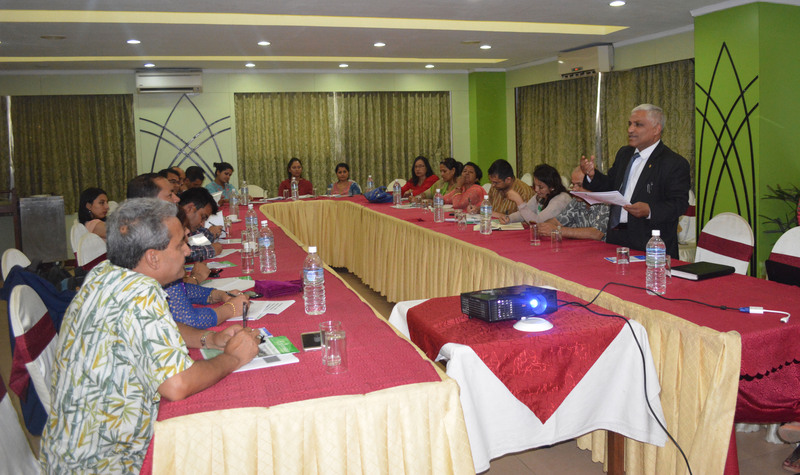 Freedom Forum organized an interface meeting on women’s presence in Nepali media on June 9 in the capital city. A monitoring report on gender contents in the selected news media from October 2016 to March 2017 was also presented in the program. The report based on monitoring of the contents of nine leading national dailies for bylines and news sources revealed that among the total news sources, 91% were males and only 9% were females. Sharing his views at the program, Chairman of Nepal Bar Association, Sher Bahadur KC, said that though constitution has guaranteed equal rights; it is yet to be seen in practice. He also shared the similar problem that the legal sector also faces in case of maintaining gender equality. He urged the State to bring more friendly policies that attract and retain women to Nepali media, so that the advocacy of change becomes more vibrant. “More number of women in media would not only boost their professionalism, but also encourage other sectors to bring women on board,” he underscored. Anita Bindu, Vice-Chair of Federation of Nepali Journalists (FNJ) stressed that the media houses needed to take active lead in realization of gender parity. She said in Nepali media the dominating theme was political issues and the men still dominated the news stories in the topics from politics to economic. Even in the political and other social stories, inclusion of women’s quotes should be given priority. According to her, the structure of political party, ministries is so faulty that females are not given the role of Spokesperson except in few cases; even Ministry of Women, children and social welfare has Male spokesperson, she shared. She pointed out the need of secure and gender-friendly newsrooms to attain gender equality. Taranath Dahal, Executive Chief at FF said the report was to sensitize the Nepali media to make them gender inclusive and make their newsrooms gender balanced. Firstly, the reports were shared among editors of each media and then disseminated among public to present the status of women in media. The report publication is not for publicity of organization but for editorial realization to inspire newsroom inclusion, he underscored. Responding to the report, Gorkhapatra daily’s Chief Reporter Junar Babu Basnet applauded the initiation. Though females are equally competent as males, they themselves are not ready to work at odd hours and visit fields to report. Such issues should be debated internally in the media houses too, and this report may be a good source. In the Gorkhapatra daily, there are 3 female reporters; one of those reports in the political beat. We are encouraging those on mainstream reporting, he added. 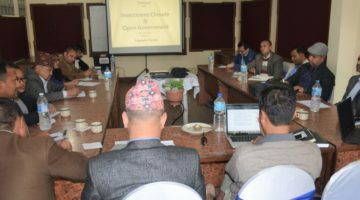 Executive Director at NEFEJ Laxman Upreti recommended FF to add a section of environment, climate change and disaster among topics which would bring more number of female bylines. He also said the scenario may somehow change after the local level poll as more number of women has been elected. Even weekly magazines published from same media organization could also be monitored, adding diversity to the present study, he further recommended. Media researcher Ujjwal Acharya opined that in addition to contents, news room’s inclusiveness of respective media should also be observed so as to produce comparative results showing actual reasons behind less number of bylines. The report also serves as a sensitizing factor for reporters to search for female sources in future, he added. Gender monitoring officer from Antenna Foundation Nepal, Sushmita Shakya shared even though AFN is also monitoring on women’s issues but this report is more effective, for having both quantitative and qualitative and evidence based. She also suggested carrying out monitoring of the pictures in the news stories on their gender role. 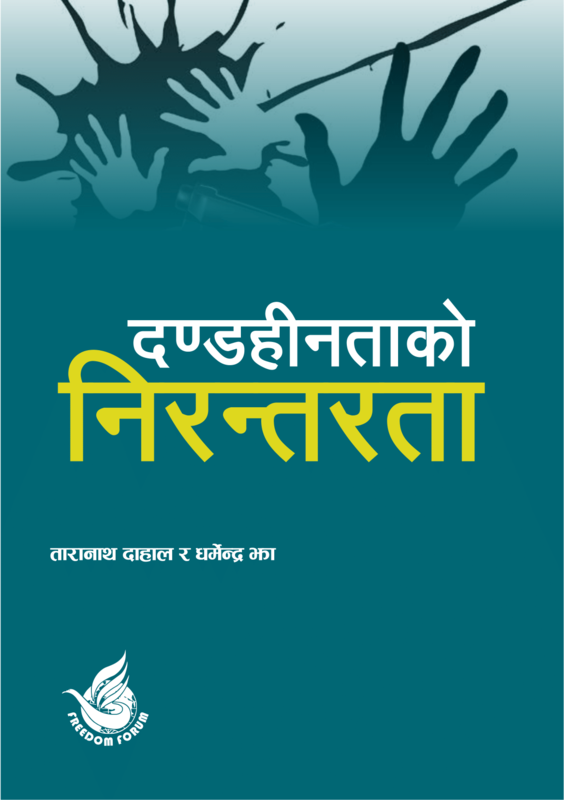 Furthermore, journalist at Sagarmatha FM, Durga Karki, shared her own experience that while interviewing with academic women to gather new news sources, they are unable to share views like those of existing sources; this may also be the reason behind same sources and no changes in the data. Senior news reporter and program presenter at Radio Nepal, Chandra Baniya suggested that electronic media should also be monitored under same issues as their effect is more direct and immediate among public. Sahaj Man Shrestha, FF’s Vice-President expressed his views as most of the mainstream contents in media were male based and cater news on male politicians; thus shadowing gender issues. Hence, this study may help bring forth women’s presence in media. Also, staff nexus in the newsrooms can cause less number of women in media, he argued. Advocate Ram Maya Lamichhane expressed that social structure may also be a disturbing factor to create gender friendly environment. A trend should be established to reward male journalists reporting on female contents which may encourage gender parity in the media. Gender sensitivity is a serious issue to be addressed, she stressed. Lastly, FF took the recommendations very positively and thanked the participants for their valuable time and suggestions. The program had 27 participants from diverse sectors.